Tim is a Wealth Planning Advisor who works with individuals to help them determine their life insurance, retirement, personal investing, and estate planning needs. 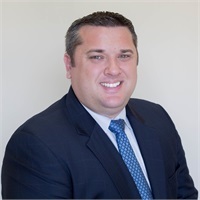 He also works with small businesses and corporations to develop employee benefit programs, business succession planning, executive benefit plans, and insurance needs. Tim joined Lincoln Financial Advisors in 2008, after spending nearly three years working for an institutional investing firm. Tim earned the Chartered Retirement Planning Counselor designation in 2010 and the CERTIFIED FINANCIAL PLANNERTM certification in 2011. He earned his bachelor’s degree in Economics from the University of Arkansas in 2005. He has been married to his wife Amanda since 2008 and they have five children.